The situation in Russia’s Baltic ports showed mixed trends in 2018. Cargo traffic through the port of Ust-Luga decreased for the first time having fallen below 100 million tonnes. Meanwhile there is a general downward trend in the segment of crude oil transshipment, an upwards trend in handling of dry bulk cargo and certain redirection of container flows. That was the first year when Ust-Luga, the largest port in the basin, demonstrated a decrease of cargo turnover: by 4% versus the year of 2017, to 98.73 million tonnes. The fall is attributed mainly to the reduced transshipment of oil (by 15% to 27.8 million tonnes) and coal (by 4% to 28.8 million tonnes). As regards coal transshipment, other ports of the basin showed a considerable increase in this segment. The port of Vysotsk handled 7.89 million tonnes of coal (11%), the port of Vyborg – 1.25 million tonnes (up 1.75 million tonnes), the port of Kaliningrad – 1.19 million tonnes (+28%). There are technical reasons which caused the decrease of coal transshipment via the port of Ust-Luga: the largest coal handling terminal in the basin, the one operated by JSC Rosterminalugol, underwent a replacement of a railcar dumper. That replacement will let the terminal boost its handling capacity to 950 railcars per day in winter, and up to 1,200 railcars in summer. The new facility will also let increase handling of innovative wagons including those with the axle load of 27 tonnes. The port’s another terminal involved in coal transshipment, Multipurpose Reloading Complex, also makes investments to increase its throughput capacity. The company has acquired a new portal crane Vityaz of over 60 tonnes in capacity able to handle 1,000 tonnes of bulk cargo per hour. The company also purchased five loaders and four 2.5 cbm grab buckets. Thus, Ust-Luga can reassert itself in 2019. Coal transshipment growth is driven by its boosting exports from Russia despite the lack of dedicated facilities. 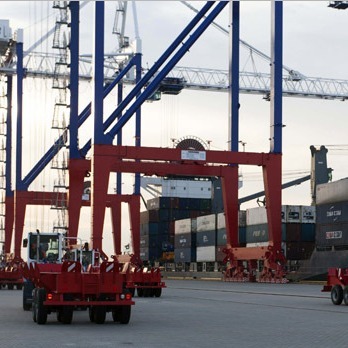 The terminals tend to intensify handling of this cargo, hence the surge of results in this segment at the ports of Vyborg and Kaliningrad. Yug-2 terminal in Ust-Luga has also started handling coal in addition to mineral fertilizers added to its range of products earlier. In 2018, coal transshipment via the exceeded 4 million tonnes. Besides, Ust-Luga Container Terminal started handling coal from the end of 2018. Its coal transshipment capacity is 1 million tonnes per year. Meanwhile, the most sustainable coal terminal in the basin is that of Rosterminalugol with its railcar dumpers and other special equipment. On the other hand, coal market faces the same risks as other markets of raw materials. Key demand for this type of cargo is currently concentrated in Asia. Russian coal is also exported to Europe, specifically to Poland. The risk is as follows: some countries like Turkey are replacing Russia’s high quality coal with cheaper grades due to devaluation processes. So, further dynamics of coal transshipment will depend particularly on exchange cross rates. As for other dry bulk cargoes, it should be noted that Russia still depends on the ports of neighboring countries in the segment of mineral fertilizers. The situation with oil transshipment is different. In this segment, we see the decrease of cargo flow at all terminals of the basin. Considerable decrease was shown by the key oil port, Primorsk (down 12% to 38.54 million tonnes) as well as Ust-Luga (down 15% to 27.8 million tonnes). The main cause of oil flow reduction is seen in the decline of supplies from traditional fields with a simultaneous growth exports from the Arctic fields and partial shifting of exports eastwards. 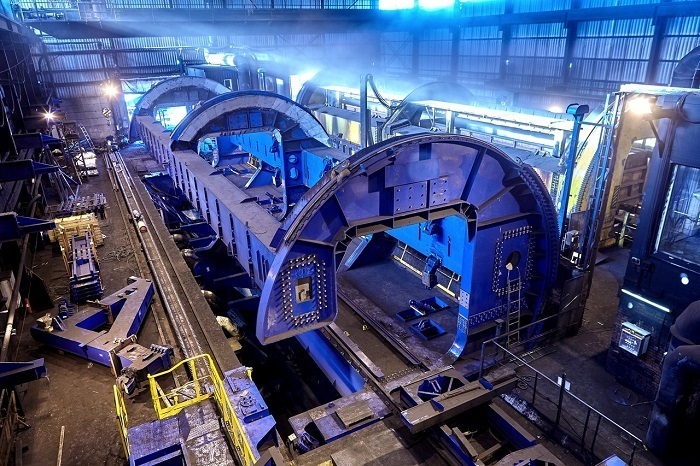 As for Primorsk, a special role is played by conversion of oil pipelines to transportation of diesel fuel under the Sever project. Notably, with crude oil transshipment decrease, the port of Primorsk showed a growth of oil products transshipment by 10%. The growth shown by Ust-Luga - 2%. The global oil market has recently seen a considerable dependence on geopolitical factors and oil production in the USA. Therefore, further development of the situation is hard to forecast. If everything goes as it is, the year of 2019 is going to show a decrease or stagnation in the ports of the Baltic basin. The port of Kaliningrad also demonstrated the growth of container handling (+15.5% to 276,400 TEUs) while Ust-Luga saw a decrease by 8% to 69,100 TEUs amid conversion of some container handling facilities into dry bulk cargo ones. In our opinion, the above mentioned proficit of container turnover, containers will gradually be shifted to the terminals with more advantageous location and transport accessibility. Bronka is among such terminals. In general, the role of the Baltic basin in transport structure of the country is being reconsidered. Its is less focused on oil and the competition between container terminals is getting tougher with dry bulk cargo beginning to play a more important role.